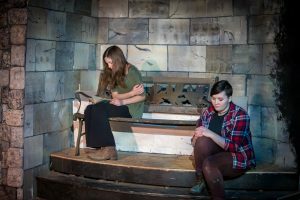 The first nine chapters of Charlotte Bronte’s much loved story Jane Eyre come to life in Marisha Chamberlain’s stage adaptation, Young Jane Eyre being presented by Anchorage Community Theatre January 19th through February 11th. Hannah Hickenlooper, who plays the title role, drops by Stage Talk this week along with director Krista Schwarting to let us in on the world of this classic coming of age story. ORIGINAL BROADCAST: Friday, January 19 at 2:45 p.m.